Pravin Gordhan has revealed that he only officially met the Guptas once, and that was at a meeting requested by then-president Jacob Zuma somewhere between 2009 and 2014, during Zuma's first term. But Gordhan refused a meeting with them later on. This is according to a 68-page sworn statement that has been leaked, signed by Gordhan on 11 October 2018 and delivered to the judicial inquiry into State capture headed by Deputy Chief Justice Raymond Zondo. In the statement Gordhan also revealed that he did however come into contact with the family at the centre of State capture at least three other times, with two of those occurring at public and government events and the third at a business meeting. 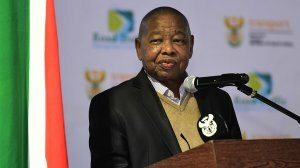 Government is not scrapping e-tolls and the issue of payment will be settled at a national level, Transport Minister Blade Nzimande has told members of Parliament. The minister was answering questions in Parliament yesterday where DA MP Manny de Freitas asked the minister if any decision had been taken on the future of e-tolls. This followed public statements from Gauteng Premier David Makhura against e-tolls. Nzimande said government was committed to implementing a road infrastructure in line with the objectives of the National Development Plan. Economic Freedom Fighters MP Mbuyiseni Ndlozi has rubbished the forensic report into large-scale looting at VBS Mutual Bank, in which the brother of the party's chief whip, Floyd Shivambu, was allegedly implicated. But, while Ndlozi implied that the bank was singled out because it was black-owned, South African Reserve Bank deputy governor Kuben Naidoo warned that "if you loot a bank, we are going to come for you", whether you're black or white. Naidoo and advocate Terry Motau, who compiled the report along with Werksmans Attorneys, briefed Parliament's Standing Committee on Finance yesterday. Brian Shivambu is said to have received R16-million and it has been reported that about R10-million found its way to Floyd Shivambu and R1.33-million to the EFF.